Greg and the crew embark on the first ever Motion Fan Hike! 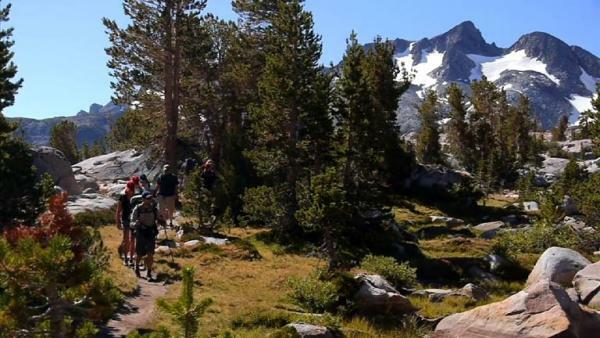 Ten fans join the Motion crew as they make the four-day hike from Mammoth Lakes, California to Yosemite National Park along the historic John Muir Trail. Freezing cold temps, snow, 70 mph winds and a helicopter rescue, set the stage for one of the most memorable Motion episodes ever filmed. The first-ever Motion Fan Hike! Greg and 10 fans from the show take an amazing journey through California's High Sierra. A member of the team becomes critically ill in a remote location and a rescue helicopter is dispatched for help. The team crosses the Donahue Pass into Yosemite marking a triumph for everyone and a drop into Lyell Canyon. Great people and spectacular scenery made Motion's first fan-hike a shoot they will never forget.